The Rolex 24 Hours of Daytona 2013 was held January 26-27 on the 12-turn, 3.56-mile Daytona International Speedway, a combined track made up of portions of the NASCAR tri-oval and an infield road course. The 51st running of the Rolex 24 Hours of Daytona put on a tremendous finale, maintaining tension right up to the last. Pre-race favorites in the Daytona Prototype class, Chip Ganassi Racing’s #01 BMW/Riley, took the checkered flag as the Rolex timing hit the 24-hour mark. The script may appear pre-written, but such was the nature of the contest that Juan Pablo Montoya, driving the final stint, did not have an impregnable lead until the last five minutes, when he passed the #10 Velocity Worldwide Corvette DP on lap 706. 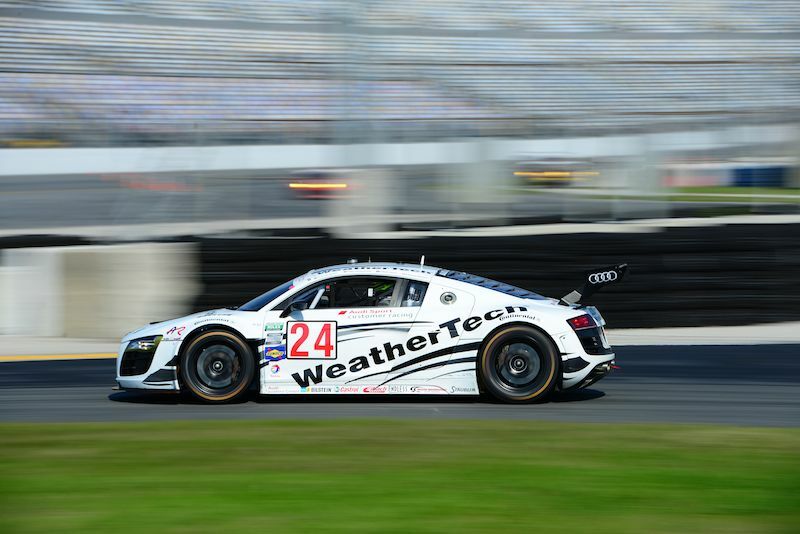 In the GT class, the #24 Audi R8, of Audi Sport Customer Racing AJR, took the honors, and the GX class win went to the #16 Porsche Cayman of Napleton Racing. 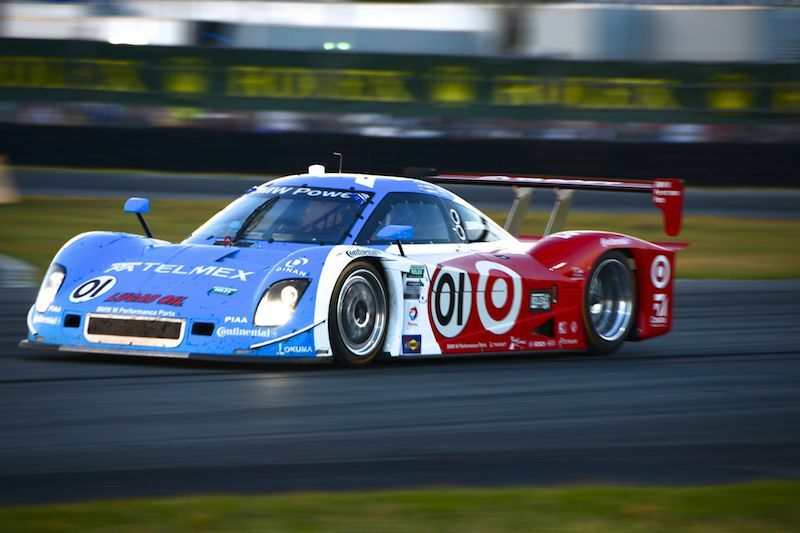 The 52nd Rolex 24 Hours of Daytona will be held over the weekend of 25-26 January 2014. Photographer Mark Coughlin documented the racing action at the 2013 running of the Rolex 24 Hours of Daytona, offering the following 110 images that highlight the endurance race and the heritage vintage car racing exhibition. Speed’s coverage was great. It still upsets me that mainstream media cannot report on this fabulous event. Mark. Nice images. There is nothing like Daytona for Sunset and or sunrise images. Thanks. Not one photo of defending champion Michael Shank Racing’s 3rd place Ford Riley? How disappointing, given their monumental effort after an early race setback of 7 laps! Not even a mention in the article. Hard to believe no mention of the class winning Cayman.Qualified fastest, led every lap. Congrats to Shane Lewis and the whole team.